Dubai: Two emerging superstars of tennis — new world No. 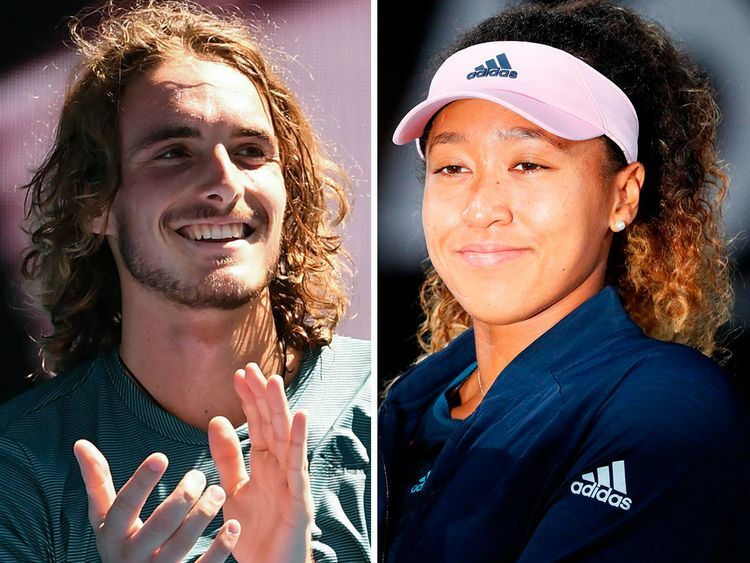 1 and Australian Open champion Naomi Osaka and giant-killer Stefanos Tsitsipas — will increase the novelty factor at the Dubai Duty Free Tennis Championships when action gets underway in just three weeks from now. The women’s line-up includes former Dubai champions and Australian Open runner-up Petra Kvitova, former world number ones Simona Halep and Caroline Wozniacki and two-time defending champion Elina Svitolina. The men’s field is led by seven-time champion Roger Federer, defending Dubai champion Roberto Bautista Agut among others. No one would have predicted a year ago that Osaka would not only beat her idol Serena Williams twice, but win the US Open and follow it up with a run to the Australian Open title. Her cliffhanger three set victory over Kvitova not only saw her ascend to world number one, but she became the first Asian player, man or woman, to reach the summit of the game. Dubai Duty Free ambassadors Wozniacki and Halep will be determined to improve on their start to the new season once the WTA event kicks off on February 17. Both former Dubai champions, this year saw Wozniacki suffer a second round upset in Auckland and then a defeat by Maria Sharapova in the third round of the Australian Open. Halep was injured during the final weeks of the 2018 season and while still working her way back, she lost her opening match of the season in Sydney before going on to reach the fourth round of the Australian Open where she fell to seven-time champion Serena Williams. Three-time Grand Slam champion Angelique Kerber always poses a threat and she began the year in style by reaching the Sydney semi-finals and then reached the fourth round of the Australian Open. One should not discount Karolina Pliskova either as a title contender after she reclaimed her Brisbane title and then earned a stunning win over Serena Williams in the Australian Open quarter finals, winning from 1-5 down in the third set while saving four match points. Elina Svitolina is bidding to become the first player from the WTA Tour to win three consecutive Dubai titles. She also reached the quarter-finals in Melbourne before losing to Osaka. Her confidence is high, especially after she ended her 2018 season by claiming the prestigious WTA Finals title. Another threat could come from Danielle Collins, who produced one of the biggest surprises during the Australian Open by fighting her way all the way to the semi-finals. Having never won a match in any Grand Slam before, her victims included Kerber who she allowed just two games. The second week of the Championship also promises to serve up a rich feast of spectacular tennis. Tsitsipas last year became the youngest player in ATP Tour history to beat four top 10 opponents in the same week in Toronto. However, that was just a warm-up for the impact he made in Melbourne where he stunned defending champion Roger Federer and then a hard-fought victory over Dubai champion Roberto Bautista Agut before bowing out to Rafael Nadal in the semi-finals. “His victory over Roger Federer in Melbourne transformed the 20-year-old from one of the most promising young players on tour to one who most definitely has arrived,” said Colm McLoughlin, Executive Vice-Chairman and CEO of Dubai Duty Free. Tickets are available online at www.dubaidutyfreetennischampionships.com and also available at the Stadium Box Office which is now open, 9am-9pm daily. For further information about the tournament, please visit www.dubaidutyfreetennischampionships.com.